So you want to play chess in Northampton ? Northampton is home to two chess clubs both of which provide the perfect environment for both friendly and competitive over the board games. The Chess Mates Northampton Club meet on Tuesday evenings each week and play in Northamptonshire league and cup competitions. 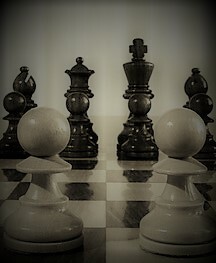 The Northampton Chess Club are currently a match play only club, most members of Northampton Chess Club are also members of Chess Mates Northampton Chess Club and play competitively in both the Bedfordshire (for Northampton) and Northamptonshire (for Chess Mates) leagues.